Well, it’s that time again. Campaign finance reports are due tomorrow. Those finance reports will allow us to reflect back on 2012 and get a glimpse into 2014. Most candidates will wait until tomorrow to file their reports, but some have already filed. The campaign finance reports show minor movement in the 2014 race to succeed termed-out Orange County Supervisor John Moorlach (R-Costa Mesa) in the Second District. Back on September 7, while everyone else was distracted by the 2012 elections, Coast Community College District Trustee Jim Moreno (D-Huntington Beach) filed paperwork to form his committee: Jim Moreno for Orange County Supervisor 2nd District – 2014. The domain name for his campaign web site (still under construction), Jim4Supervisor.com, was registered on September 19. Conveniently for blog readers, Moreno filed his campaign finance report yesterday for the period ending December 31, and it shows the only contributions his supervisorial campaign has ever received are three loans from himself and his wife totaling $2,100. He’s spent $972 on “business cards, stationary, and envelopes” according to the report. It’s unclear what the rationale is on the timing of opening his committee. If he is running for Supervisor, it would have made more sense to wait until January 1 to open the committee, so he’d have the first six months of 2013 to raise money before the next report is due. If he isn’t running for Supervisor, he doesn’t need a place to temporarily hold money, as the Coast Community College District has neither contribution limits nor term limits, so Moreno could raise unlimited sums into his community college board account for any year and then slide the money into any other campaign he wants. I’m not certain why he opened a committee that only possesses $2,100 of his and his wife’s money. Moreno’s college board account has $1,415 cash on hand. On December 30, he did receive a $250 contribution from Rancho Santiago Community College District Trustee Jose Solorio (D-Santa Ana), a former Assemblyman and likely 2014 Senate candidate for SD-34. State Board of Equalization Vice Chair Michelle Steel (R-Surfside) has already announced her bid for the Second District seat on the Orange County Board of Supervisors. Money: As of June 30, Steel had more than $222,000 cash on hand in her BOE account, much of which she could use in a supervisorial campaign. (She has not yet filed her campaign finance reports covering the July 1-December 31 period, which are not due until tomorrow.) Moreno has $3,515 cash on hand even combining his supervisorial and college board accounts. Name ID: Voters across the entire Second Supervisorial District have voted for Steel as that entire district is inside her Board of Equalization district. Voters in four of the ten cities in the Second Supervisorial District are not part of the Coast Community College District and have never seen Moreno on the ballot. Party Affiliation: Although it is a nonpartisan seat, Republicans hold a 14% registration advantage over the Democrats in the Second Supervisorial District. Republicans have had uninterrupted control of the seat for at least half a century. Conventional wisdom holds that Steel’s toughest opponent will be another Republican, not a Democrat. Even among Democrats, Moreno’s not their strongest candidate. In the wake of a scathing OC Grand Jury report against Supervisor Janet Nguyen for her take over of CalOptima, other county supervisors are openly suggesting further changes to this $1.5 billion healthcare plan for the poor. The Voice of OC’s Norbeto Santana recently interviewed supervisors Todd Spitzer, Shawn Nelson and John Moorlach for their reactions. Senator Lou Correa also offered his willingness to make legislative change to CalOptima. Sensing that newly elected Assemblywoman Sharon Quirk-Silva is vulnerable in the midterm 2014 election, two Republicans has emerged to compete for the chance to unseat her. Both Republicans are Asian Americans and they were busy working the room at last night’s Republican Party of Orange County Central Committee meeting. I do not think there is a front runner on the GOP side yet but one of these two candidates have a minor edge and her name is Young Kim. 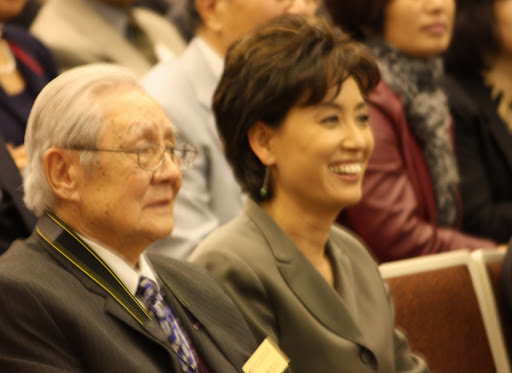 She is a Korean American community leader and long time staffer for Congressman Ed Royce. In my judgment Young have a small advantage right now because of Ed Royce and his strong roots in Fullerton. Let’s just assume that Royce will go out of his way to help his staffer. Young Kim is an eloquent public speaker. She is very presentable in public and can tap into her Korean network of donors for financial support. Previously Young and her husband Charles lives in La Habra where he was a planning commissioner. La Habra is not in AD 65 so i’m guessing Young probably moved out of that city already and into a place that is within the district. Someone overheard her saying that she moved to Fullerton last month. Young’s decision to run in AD 65 instead of Assemblyman Curt Hagman’s district saved Ed Royce from having to take side in a potentially divisive campaign. We know how “excited” the Congressman can be when he has to take side in an intra-party fight. Before Young Kim can take on Sharon Quirk-Silva, she will have to find a way to deal with Councilman Henry Charoen of La Palma. 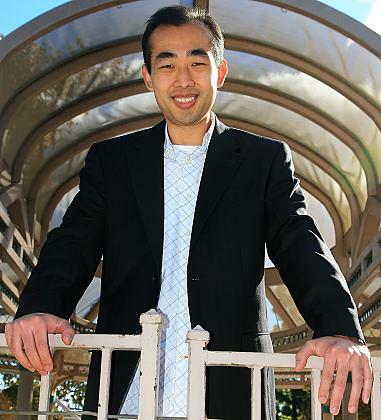 Henry is a Thai community leader. Henry was planning to run for assembly two years ago but his city was drawn into Chris Norby’s district. He ultimately backed out but did put away $50,000. In June of 2012, Henry was elected to the GOP central committee. What is dangerous about Henry is that he has nothing to lose and everything to gain by running. Don’t think that the GOP establishment can bully him out of this race. It is good for the Republican Party to have two fine Asian candidates running for state office. However, to even have a chance at unseating Sharon Quirk Silva, one of them must not run and clear the field for the other. There just isn’t enough money in Orange County for these two Republicans to bloody each other up in the primary. From now until the June mid-year financial report, Henry is unlikely to do better than Young in term of collecting high profile endorsements. Young will beat him at that game but if Henry can focus on raising money – i’m talking posting $150,000 cash on hand by the middle of this year then he is in the hunt and probably the frontrunner. Likewise for Young, she need to have money to go along with her endorsements. Having all 25 GOP assembly members endorsing her means little to nothing if she cant put together at least $100,000 by the middle of this year. This could be an exciting race to watch. Asm. Wagner: Does the Governor’s Budget Pay Down “Wall of Debt” or Simply Add More Bricks to the Wall? Does the Governor’s Budget Pay Down “Wall of Debt” or Simply Add More Bricks to the Wall? California budgetary debt topped $35 billion at its height. As of the end of the 2012-13 budget year, California will owe $27.8 billion in budgetary debt. While the Governor committed to repaying debt if his taxes were approved, his current budget lowers debt payment by $1 billion, putting repayment behind schedule. Using one-time money to pay back budgetary loans would help the state avoid a fiscal cliff in the future. Washington, DC – Today, Congressman Earl Blumenauer (OR-3) and Congressman John Campbell (CA-45) offered an amendment to H.R. 152, the Disaster Relief Appropriations Act of 2013, which would protect federal taxpayers from being burdened with an unfair share of the cost of projects extending beyond those specifically assisting victims of Hurricane Sandy. Most beach renourishment projects take place under a 65% federal, 35% nonfederal cost-share agreement, with continuing replenishment cost-shared at 50% federal. These projects are often done at the urging of local communities and most of the benefits flow locally, so it makes sense for those communities to pay a share of the cost. However, an amendment offered by Congressman Frelinghuysen (NJ-11) would waive the 35% nonfederal share for many of these projects and could be interpreted to go even further and raise the federal cost share for continuing replenishment projects from 50% to 100%. The Blumenauer-Campbell amendment clarifies language in the Frelinghuysen amendment that could inadvertently waive the nonfederal cost-share for ongoing construction projects unrelated to Hurricane Sandy. Any waiver of local cost-share for these projects should be limited to the funds provided in H.R. 152. This amendment is supported by National Wildlife Federation, Taxpayers for Common Sense, the Reinsurance Association of America, the Association of State Floodplain Managers, the Water Protection Network, and the R Street Institute. (Santa Ana, CA) – Todd Spitzer, elected to serve as the next Orange County Supervisor from the Third District, was sworn in on January 7 and immediately began focusing on critical issues such as ending homelessness in Orange County and addressing problems with Irvine’s Great Park. Click here for a link to the Orange County Register’s story on Spitzer’s swearing-in. Click here to read Supervisor Spitzer’s remarks. Spitzer also announced his team, chosen to assist him in improving Orange County’s economy, ensuring public safety and bringing additional reforms to the county’s pension system. Click here for more information about Supervisor Spitzer’s staff. 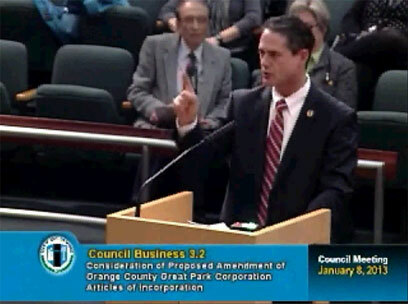 Supervisor Spitzer recently spoke before the Irvine City Council. Click here to view his remarks. (Santa Ana, CA) On January 15, members of the Orange County Board of Supervisors voted unanimously to purchase property for the purposes of creating a year-round shelter for the homeless in North County. The location of the property is at 301 S. State College Blvd., in Fullerton and adjacent to north Anaheim. This item is part of the county’s board-approved ten-year plan to end homelessness and takes steps to create a year-round homeless shelter. Supervisor Shawn Nelson led the project, which is based in the Fourth District. For more than a year, Supervisor Nelson and staff worked with Fullerton officials and community members to identify a site location and work through logistical concerns. Supervisor Spitzer praised Supervisor Nelson’s leadership in bringing this important issue forward. “This is such an important step forward for Orange County as we find ways to help our homeless get back on their feet, and find treatment solutions for those affected by mental illness or drug and alcohol addiction,” said Supervisor Todd Spitzer in support of the purchase. “But it’s also critical to be aware that our action today is just a first step and that the people of Fullerton still have opportunities for public input at the city level through public hearings on this project,” Spitzer also said. Currently, two part time shelters are available under the county’s seasonal Armory Emergency Shelter Program. Access to these shelters is limited to the winter season and to specific nighttime hours. Spitzer also highlighted the upcoming survey of the county’s homeless population and committed that he and his staff would participate in the event. (Santa Ana, CA) Next issue, openings for appointments to local boards and commissions from the Third District will be announced. Supervisor Spitzer has called for a transparent and open process for applications. A list of boards and commissions with available positions will be provided.